Miettinen, S. & Kuure, E. (2013). Designing a Multi-Channel Service Experience. Design Management Review, The Changing Nature of Service & Experience Design, Vol. 24, No. 3, Fall 2013, 30-37. Kuure, E. & Miettinen, S. (2013). Learning through Action: Introducing the Innovative Simulation and Learning Environment Service Innovation Corner (SINCO). E-Learn 2013, 21-24 October 2013, Las Vegas, Nevada, USA. Kuure, E. & Lindström, A. (2012). Voices of the Users – How Technology Can Help in Co-Innovation. In Lena Farias, P., Calvera, A., da Costa Braga, M. & Schincariol, Z. (eds. ), Design Frontiers: Territories, Concepts and Technologies. Proceedings of the 8th Conference of the International Committee for Design History & Design Studies – ICDHS 2012, 3-6 September 2012, Sao Paulo, Brazil. Edgard Blücher Ltda, Sao Paulo. ISBN 978-85-212-0692-7 (e-book), pp. 391–395. Miettinen, S., Rontti, S., Kuure, E. & Lindström, A. (2012). Realizing Design Thinking through a Service Design Process and an Innovative Prototyping Laboratory – Introducing Service Innovation Corner (SINCO). In Israsena, P., Tangsantikul, J. & Durling, D. (eds. ), Design Research Society 2012: Bangkok. Conference Proceedings: Volume 3. ISBN 978-616-551-570-2, pp. 1202–1214. Rontti, S., Miettinen, S., Kuure, E. & Lindström, A. (2012). 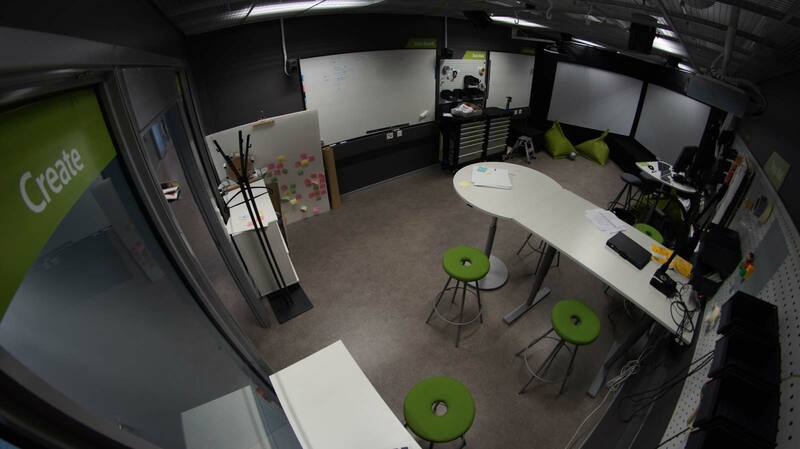 A Laboratory Concept for Service Prototyping – Service Innovation Corner (SINCO). SERVDES2012, Service Design and Innovation Conference, 8-10 February 2012, Laurea University of Applied Sciences, Espoo, Finland. Konttinen, J., Smedlund, A., Rilla, N., Kallio, K., & van der Have, R. (2011). Knowledge Transfer in Service Business Development – Transfer mechanisms and intermediaries in Finland. VTT Publications (pdf). Pages 61-68 introducing SINCO as a successful knowledge transfer mechanisms.